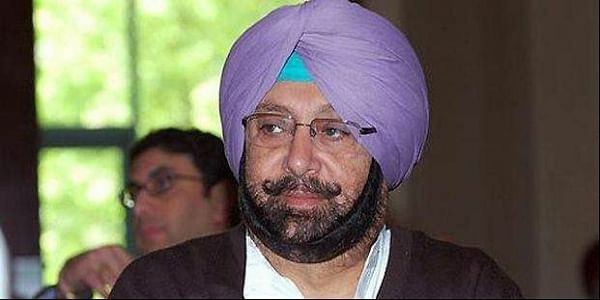 Around two dozen retired Indian and foreign Army officials came together to enjoy the hospitality of Punjab CM Amarinder. CHANDIGARH: Memories flowed and a bygone era was nostalgically revived as around two dozen retired Indian and foreign Army officials came together to enjoy the hospitality of Punjab Chief Minister Amarinder Singh here to commemorate the Great War of 1914-1919. This was the first time these officials, descendants of soldiers who had served in World War I as part of the Jalandhar Brigade, joined in venerating the historic event. It was an emotional reunion as the veterans shared reminiscences of the times spent together in peace and war. Welcoming them at his residence last evening, the chief minister said he felt privileged and honoured to host them for dinner and share with them some special moments and memories, said an official release. Amarinder, himself an ex-armyman and a keen military historian, recalled the sacrifices of the soldiers of the Jalandhar Brigade, who were the first set of troops to be inducted into the British Army as a brigade. Many of the Jalandhar Brigade soldiers froze to death as they battled Europe's worst winter to fight the Great War for the Allied Forces, without sufficient warm clothes, the chief minister observed, adding that the valour and courage of those soldiers, who did not leave their posts despite the extreme weather conditions, continued to inspire the Army personnel till this date. Lamenting that the Indian Army's contribution to the Great War had largely been ignored, Singh pointed out that 74,000 Indian soldiers sacrificed their lives and another 67,000 were injured during the war to uphold the honour of their regiments and country. Many of the injured also succumbed later, taking the toll even higher, he added. Speaking on behalf of the Jalandhar Brigade Association, its president, Maj. Gen. Peter Ronald Davies, said without repeating history, he only wanted to say that the story created during World War I was a continuing one. While the veterans looked back on why they had this common story, they, at the same time, also looked forward to continuing the story they shared with India, he said, joining the gathering in remembering the gallant soldiers who came out to fight the Great War. Others in the visiting group included Thomas Ian, Macdonald Waugh, Richard John Holt, Sutton Smith, Charles Noel Hugh, William Moreton, Jeremy Moss, Charles Robert Smethurst, John Richard, Cottan White, Ronald McCrum, Timothy George Plumtre, Iain Edward, Cameron Smith, Nigel Hugh Mackay and Douglas Robert. For some of them, it was their first visit to India, with which their forefathers had a strong connect.